The chemlab.graphics package is one of the most interesting aspects of chemlab, that sets him apart from similar programs. The purpose of the package is to provide a solid library to develop 3D applications to display chemical data in an flexible way. 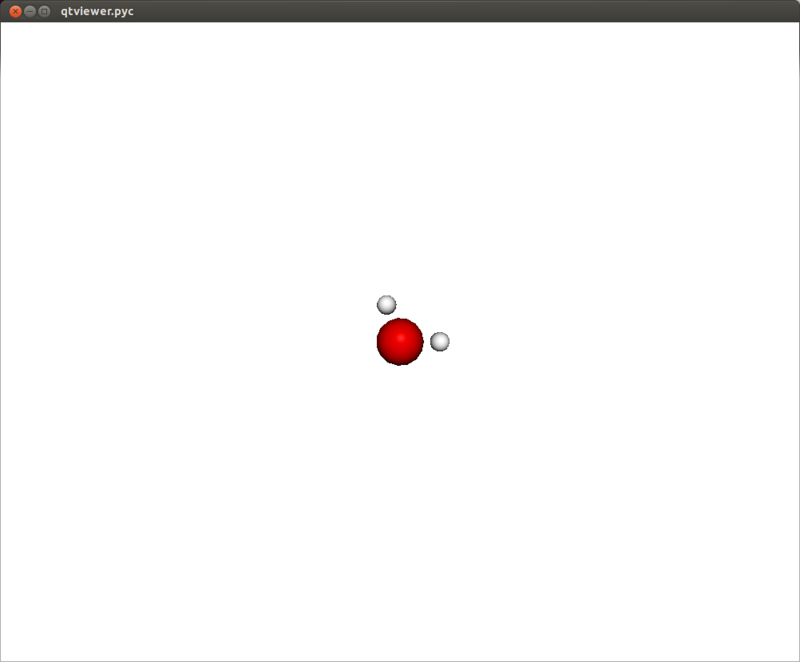 For example it’s extremely easy to build a molecular viewer and add a bunch of custom features to it. now let’s define a molecule. We can use the moldb module to get a water template. In a similar fashion it is possible to display other features, such as boxes, arrows, lines, etc. It is useful to notice that with Viewer.add_renderer we are not passing an instance of the renderer, but we’re passing the renderer class and its respective constructor arguments. The method Viewer.add_renderer returns the actual instance. Anyway, I encourage you to use the powerful Qt framework to provide interaction and widgets to your application. Renderers are simply classes used to draw 3D objects. They are tecnically required to provide just one method, draw and they must take an instance of QChemlabWidget as their first argument (check out the AbstractRenderer class). In this way they provide the maximum flexibility required to build efficient opengl routines. Renderers may be subclass other renderers as well as use other renderers. If you pass 6 vertices/normals/colors, he will display 2 triangles and so on. As a sidenote, he is very efficient and in fact chemlab.graphics.renderers.TriangleRenderer is used as a backend for a lot of other renderers such as SphereRenderer and CylinderRenderer. 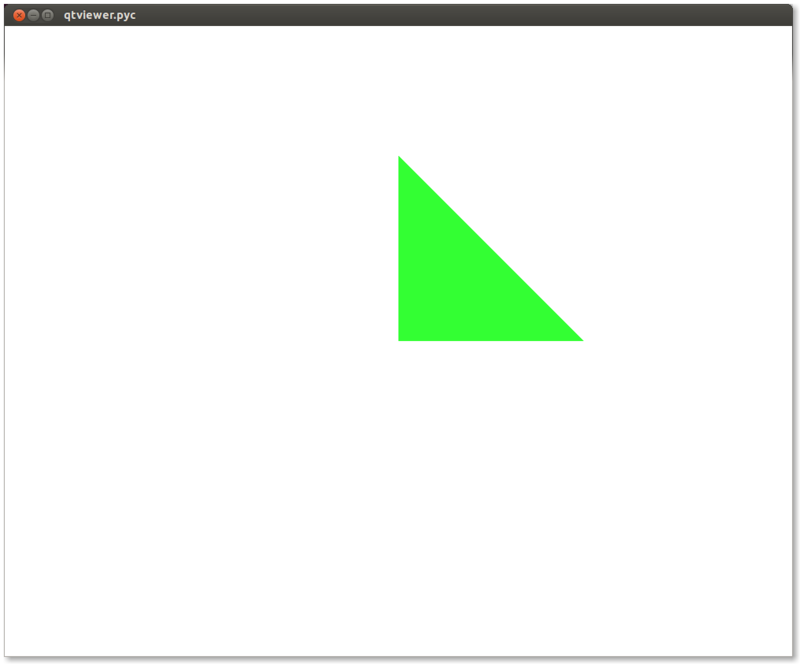 If you can reduce a shape in triangles, you can easily write a renderer for it. # rotate homogeneous (4D) coordinates. 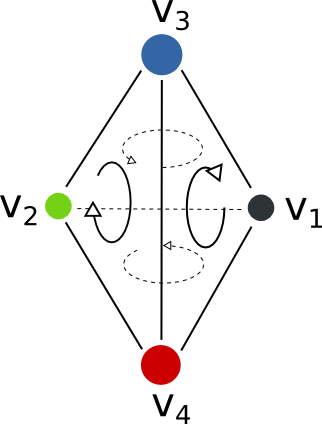 On this ground we can develop a TetrahedronRenderer based on our TriangleRenderer. To do that we first need to understand how a tetrahedron is made, and how can we define the vertices that make the tetrahedron. We’ve got 4 boring points that look like they’re at the vertices of a tetrahedron. Most importantly we learned that we can use PointRenderer to quickly test shapes. Now that we’ve got the basic shape in place we can code the actual Renderer class to be used directly with the viewer. 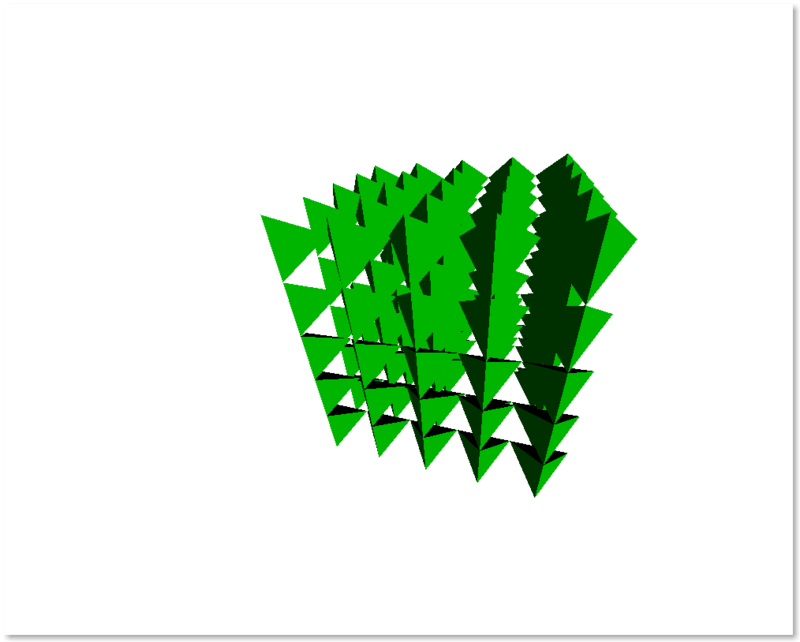 We will make a renderer that, given a set of coordinates will display many tetrahedra. store the triangle vertices, and normals of a single tetrahedra. for each position that we pass, translate the vertices of the single tetrahedra and accumulate the obtained vertices in a big array. repeat the normals of a single tetrahedra for the number of tetrahedra we’re going to render. reimplement the draw method by calling the draw method of our trianglerenderer. # of the array in an efficient manner. If you had any problem with the tutorial or you want to implement other kind of renderers don’t exitate to contact me. The full code of this tutorial is in chemlab/examples/tetrahedra_tutorial.py .